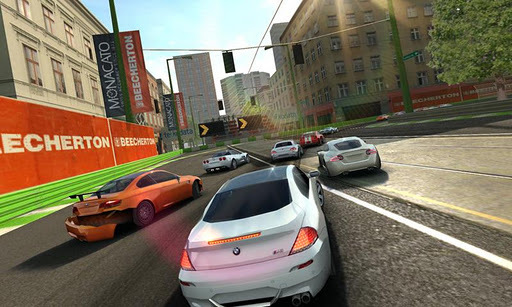 Electronic Arts has just released another arcade racing title in the Android Market with Real Racing 2. If you’re wondering why you never heard of part 1 well, that’s because it was only available for that other App Store until EA wised up. No matter. 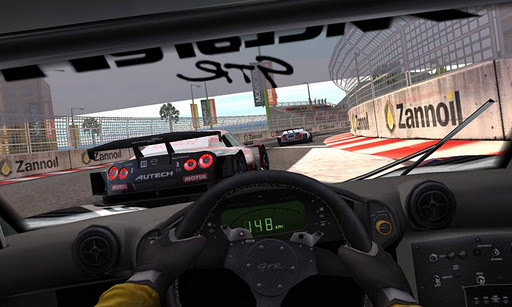 Real Racing 2 ups the ante from the previous version with absolutely insane visuals for Android devices, delivering ultra realistic environments and shiny car models. I mean, seriously — just look at those screenshots! Work your way from rookie to pro in a robust Career Mode, offering 10 hours of racing enjoyment. Jump into a Quick Race for instant fun – or race against the clock in Time Trial Mode. Race in 15 beautiful locations, with 40 miles of highly detailed race tracks, speedways and city circuits – including twilight and night races. Touch or tilt to steer, as you experience state-of-the-art handling with customizable options that tailor to your personal driving style. Experience the intensity of head-to-head racing with 5 unique camera angles and breath-taking graphics powered by Firemint’s exclusive high performance Mint3D™ engine. Keep in mind that while Real Racing 2 is free to download, unlocking the full version of the game comes through an in-app purchase. The only problem I encountered was the same one others in the Market had with the game’s 470MB resource failing to download. Also, the game isn’t compatible with a good amount of Android devices (even high-end ones like the Evo 3D). But if you guys want to give it a go for yourselves, buckle up and test drive Real Racing 2 for free right now in the Android Market. Remember — no texting while driving.